Bali Attractions: Best Places to Visit in Tabanan Bali, Indonesia - Tabanan regency is a region in the province of Bali, which is known as the rice granary of Bali island, because most of its territory covering rice fields and most of its population are farmers with much of their income is in agriculture and plantations, making Tabanan as a center of rice production in Bali Island. Besides that, Tabanan regency is also very famous for its natural beauty, Tabanan also has some very interesting places to visit such as mountains, lake, sacred places (temples), rice terrace, beaches, etc and make it as one of the regions that have the most favorite and most visited tourist destinations on the island of Bali. 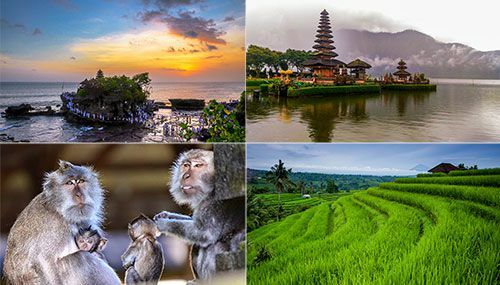 Below, we will review the best attractions in Tabanan that are really interesting to visit for travelers who are on holiday in Bali. Attractions Tanah Lot Bali, no question about it that Tanah Lot Temple that is located in Tabanan regency is one of the best destinations and a must-visit attraction in Bali. The Tanah Lot Temple that stands on a solid rock of the sea looks amazing when the sun setting down in its background. It is not complete if on a holiday in Bali did not visit one of the most popular spots in Bali as well as in Indonesia. Pura Tanah Lot Temple is a sacred place of Balinese Hindus for worshiping God in His manifestation as a God Varuna (God of the sea) to maintain a balance between the sea and the earth. The Temple built in the 16th century by Dang Hyang Nirartha. Although it is visited by thousands of visitors every day, but its sanctity is strictly maintained by the people of Bali. 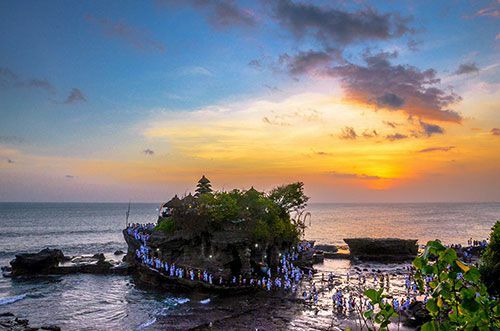 Read more (Tanah Lot: Bali Temple on Sea Rock & Beautiful Sunset View). 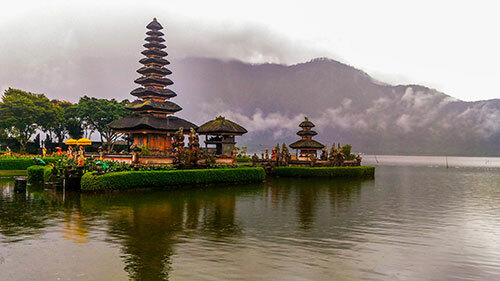 Attractions Ulun Danu Bratan Temple Bali, when people see the Ulun Danu Beratan Temple either through social media, television and in magazines then they will immediately call "Bali". Pura Ulun Danu Beratan Temple located on the shores of Lake Beratan situated in the mountainous area of Bedugul in the regency of Tabanan is as already become a profile of tourism in Bali, and the beautiful photograph of Ulun Danu Beratan Temple Bali is much used as a front page of travel guide books and magazines such as Lonely Planet, Travel + Leisure, and others, so that this place becomes one of the best attractions visited by many tourists in Bali, both foreign and domestic. Ulun Danu Beratan Temple built by I Gusti Agung Putu and was probably built before the Saka year 1556 or 1634 AD. I Gusti Agung Putu is the founder of Mengwi kingdom and He is also the founder of Pura Taman Ayun Temple. Ulun Danu Beratan Temple Bedugul Bali is a sacred place of Hindus on the island of gods to worship the greatness of Lord Shiva. Hindus in Bali adore him to invoke the welfare, prosperity, and for sustainability of the universe. Beratan Lake is also a source of irrigation for agricultural land, especially in the central part of the island of Bali. Read more (Ulun Danu Beratan Temple Bali: Bedugul Lake Bratan Water Temple). 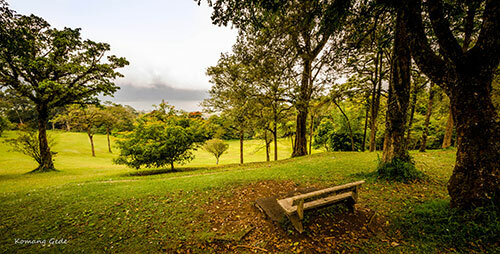 One of the attractions that must be visited when on holiday in Bali is a tourist spot Bali Botanic Garden (Indonesian: Kebun Raya Bali), it is often called Eka Karya Botanical Garden. The Bali Botanic Garden is located in the area of Bedugul, Candikuning Village, Baturiti Subdistricts, Tabanan Regency. It serves as a place of research, exploration, inventory, conservation, education, as well as recreation and tourism. The establishment of Bali Botanic Garden starting from the idea of Prof.Ir. Kusnoto Setyodiwiryo and I Made Taman. It has more than 2000 plant species are preserved, and there is also a large collection of plants such as orchids, ferns & mosses, begonias, cactus, plants for medicines, plants as materials for offerings of Balinese Hindu ceremony, aquatic plants, bamboos, Rhododendron, Araceae, Herbarium, etc. Read more (Bali Botanic Garden - Bedugul Bali, Indonesia). 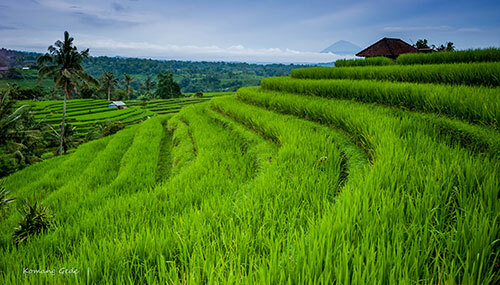 Attractions Jatiluwih rice terraces Bali, among all the terraced rice fields in Bali, it can be said that the view of the rice terraces Jatiluwih is the most beautiful besides Tegalalang rice terraces, Munduk rice terraces, Pupuan rice terraces, and others. Jatiluwih rice terrace is located in Jatiluwih Village, Penebel Subdistrict, Tabanan Regency, Bali, and it's situated close to the Mount Batukaru. Rice fields in Jatiluwih is included in the regional Landscape of Subak Catur Angga Batukaru, which is one of four regions in Bali that is defined by UNESCO as a World Cultural Heritage since June 29, 2012, because it has a unique and common feature of the farm using the traditional irrigation system known as Subak. Read more (Jatiluwih Rice Terraces: Best Bali Terrace Farming Landscape). Attraction Alas Kedaton Monkey Forest and Pura Alas Kedaton Temple, among many monkey forests in Bali, the monkey forest Alas Kedaton is one of them besides Ubud monkey forest sanctuary, Sangeh monkey forest, and others. Alas Kedaton is a tourist destination visited by many foreign tourists in addition to local tourists, especially on public holidays. There are hundreds of monkeys that live in this forest, there are also some big bats hanging from the branches of trees. In the forest, there is a sacred place for Hindus called Pura Alas Kedaton Temple built by Mpu Rajakertha or Mpu Kuturan during the reign of King Sri Masula Masuli on the island of Bali. Read more (Alas Kedaton: Bali Holy Temple Inside Monkey Forest). The species of monkeys in Bali and also dwelling in Alas Kedaton forest are the crab-eating macaque (Macaca fascicularis), also known as the long-tailed macaque. These kind of monkeys are the original inhabitants of Southeast Asia, it is also referred to as cynomolgus monkeys in the laboratory. Read more (Alas Kedaton: Bali Sacred Monkey Forest Sanctuary). 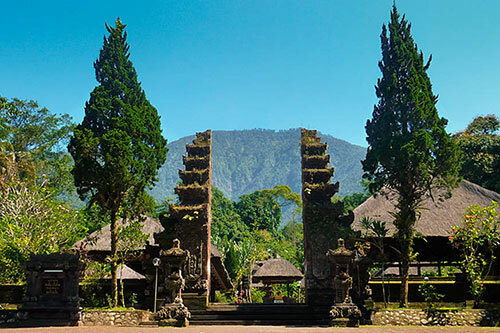 Attractions Pura Batukaru Temple Bali, in addition to tourist destinations Tanah Lot and Ulun Danu Beratan that are in the territory of Tabanan Regency, there is also Pura Luhur Batukaru Temple located right at the foot of Mount Batukaru, Bali. Batukaru temple located in the village area of Wongaya Gede, Penebel Subdistrict, Tabanan Regency. This is a must-see tourist destination for those who want a taste of coolness, calmness, and peace that can be found in Batukaru temple. In Batukaru Temple, if the religious ceremony does not take place then we will not find any shops or stalls that provide food, souvenirs, and others that generally can be found in most of the tourist spots in Bali. So the silence and peace will truly be felt when visiting Pura Batukaru Temple. The fresh & cool mountain air and the chirping of birds around will add more peace of mind. Read more (Batukaru Temple: Holy Place on The Slope of Mt. Batukaru Bali). Balian beach doesn't have white sand like Nusa Dua beach, Sanur beach, Kuta Beach, or the beaches in the area of ​Uluwatu and the southern part of Bali island such as Dreamland, Bluepoint, Pandawa, Tegal Wangi, etc. But make no mistake, Balian beach is very popular among surfers. Balian Beach has waves that are great for surfing and becomes one of the best spots for surfing in Bali island, many surfers from around the world come to try the waves at the Balian beach. Read more (Balian Beach: Bali Surf Spots in West Bali Indonesia). Bali Butterfly Park (Indonesian: Taman Kupu-kupu Bali), among zoos in Bali such as Bali Zoo, Bali Safari and Marine Park, Bali Bird Park, Elephant Safari Park, etc, there is also Bali Butterfly Park that is located in Tabanan as an attraction for a family holiday on the island of Bali. Apart from being a tourist attraction, the butterfly garden located in the village of Wanasari, Tabanan Regency is also used for education and research. 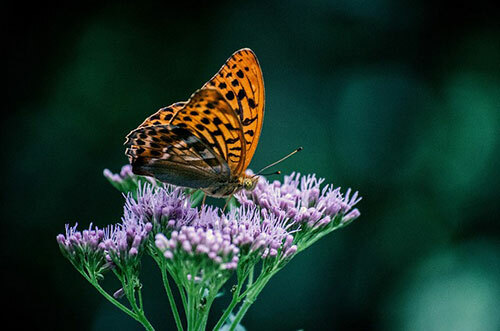 Currently, there are two large butterfly parks on the island of Bali namely Tabanan Bali Butterfly Park and Kemenuh Butterfly Park which is located in Gianyar regency. Read more (Bali Butterfly Park (Taman Kupu Kupu Bali) in Tabanan Regency). Subak Museum Bali, located near the center of Tabanan regency and only 5 minutes from the city of Tabanan. Subak Museum as one of the places visited by many tourists and students, this is the only museum in Bali which shows a wide range of collections of agriculture as well as the traditional tools used for farming. Subak Museum is apart from being a tour destination by the students and tourists, as well as a place to introduce the younger generation and visitors about the traditional irrigation system (irrigation) in Bali, which is a heritage and is still used today, known as Subak. Read more (Subak Museum: Bali Agriculture Collection & Traditional Irrigation). Subak that has been defined by UNESCO as world cultural heritage is unique in terms of irrigation systems/irrigation of rice fields by using the philosophy of "Tri Hita Karana" which is the philosophy about the balance of man's relationship with God, man and his group, and the man with the environment and natural surroundings. Read more (Subak: Bali Traditional Water Management System (irrigation)).